Are you a new mother? Have you recently given birth to a baby? Now, do you want to lose that extra pregnancy fat in your body? Lose Weight Loss is here to help you with the best possible guidelines and solutions which have already helped many mothers! So, we are here to discuss about the best techniques that you need to follow strictly in order to lose your baby fat. 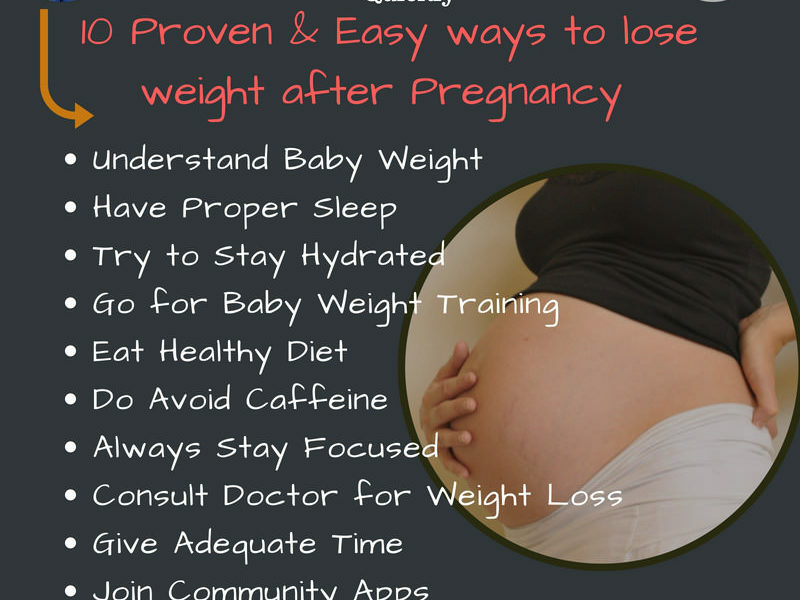 Moreover, it is natural that you want to shed your pregnancy weight, but make sure you do it the right way. The procedure that you always need to make sure at the time of losing your baby weight is given in the following step-by-step guidelines. 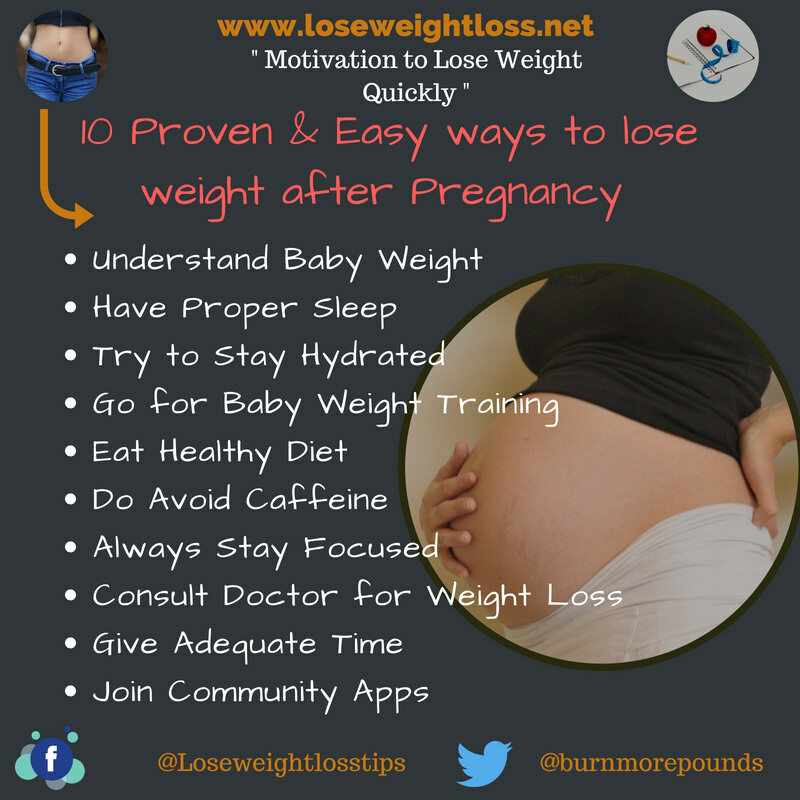 They are understanding baby weight, having proper sleep, trying to stay hydrated, going for Baby Weight Training, eating healthy diet, remember to avoid caffeine, must always stay focused, consulting doctor for weight loss, giving adequate time and also joining community apps. It is to be noted that , while pregnancy will give you your best gift ever, your little one but it also gave you something you may not be as fond of in the form of the additional pregnancy weight that you want to lose.If your pregnant now then you have take care of your health. In our previous post we already discuss about the common health problems during Pregnancy. What are the things to remember in order to lose that baby fat that mothers have after giving birth? I am a new mother who have recently gave birth and looking for the most useful tips that I can apply in order to lose the extra fat that I have acquired in the process of pregnancy. You will find all the answers in this blog. The first and foremost thing that you need to do is to understand about baby weight. This weight gain consists of the baby, placenta, amniotic fluid, breast tissue, more blood, uterus enlargement and extra fat stores. Also, do remember that, excess weight gain can result in too much fat. This is what people generally refer to as baby weight, and it is very common. So, you need to do everything to lose that baby fat in you body and get leaner. Do remember that, not getting enough sleep can adversely affect your metabolism and slow down your weight loss process. Try to assign housework to other members and get some sleep while your baby sleeps. However, it is true fact that it is not possible to get eight straight hours of sleep when you are a new mom, but you should try and avoid being sleep deprived. Inspite of that, you need to make arrangements for wee-being of your baby and yourself. Drinking water and fluids will also prevent dehydration and improve your metabolism , which is effective in managing weight. Also, make sure you drink at least eight to ten glasses of water a day. In addition to that, this will help to flush out all toxins from your body. Also, do not forget to include different types of liquids in your daily diet such as milkshakes, smoothies, soups, stews, fresh juices and such. This has become a trend now. Hold your baby closely and firmly to your chest and do a few lunges each day. Make sure you take your doctor’s approval first. You can also do it by lying on your back and holding your baby up and down. This has become more useful for new mothers as it is not always possible to hit gym when you are having a baby to look after. Moreover, you do not need to use those heavy dumbbells yet. Instead, use your little one to help you lose the weight. This is a mistake that most people make as you need to take care of the new born baby and tend to neglect on you own diet. Instead of eating foods that will make you feel full without doing much for your body, go for super foods. We have discussed about the foods to eat during pregnancy . Also remember that, while you are a new mom, your body needs a lot of nutrition to help it come back to its healthiest self, and also to produce enough milk for your baby. Another mistake that new mothers make is drinking coffee to stay awake in order to tend to their babies. It is true that you may feel that a cup of coffee is the best bet to ward off sleep and exhaustion. However, you need to understand that it can stop you from losing weight. The best solution is that if you feel tired and need something to drink, have a steaming cup of green tea with grated ginger. It is also important to understand and make sure you do not lose focus if you don’t see a drop in your weight yet. Keep doing the small changes that you have incorporated and make sure you are sticking to the right choices. Do remember that, patience and perseverance are the keystones here, so make sure you stick to doing what you started. Also keep in mind that, before you do anything, make sure to speak to your doctor and get a health clearance first. It is always advised by experts to take professional help when needed. Doctors can treat overweight or obesity with diet and exercise suggestions and sometimes weight-loss medications and solutions. However, do remember to explain the doctor in details about your weight -loos goals and what are the ways that can be implemented for the process to become a success. Doctors will give a scientific cure to your problem. This is not going to happen fast as you need to give proper time for it. You put on all the excess weight over a period of nine months, so do not expect it to go away in a couple of months after you have your baby. It is important to take care of the health if the baby along with your own health. The first year after your baby is born will be the toughest, and it does take some time to shed the baby weight. One of the best ways to stay motivated is to join other community members who have similar goals which is losing baby weight, in this case. Go for the many community apps out there. We have already discussed about many Pregnancy Apps which also boasts of big communities which are hugely vocal in order to assist in your weight-loss goals. So, do not forget to read it. Thus, you have got an idea about the guidelines that can help you lose baby fat easily. However, the best and most achievable way to lose weight is through a healthy diet, breastfeeding and exercise. In addition that, breastfeeding is also one of the things by which you tend to swollen breasts. Moreover, after your baby is born and your days gradually begin to regain somewhat of a routine, it is time to put the ideas into action. The thing that we have already mentioned in the post is that, you should never neglect you body during the post-pregnancy period as being healthy will allow you to enjoy time with your baby and get the most out of being a new mom. Also remember that, getting back into a healthy weight range is beneficial for your health and any future pregnancies. So, wishing you best of luck for your weight loss program after giving birth.